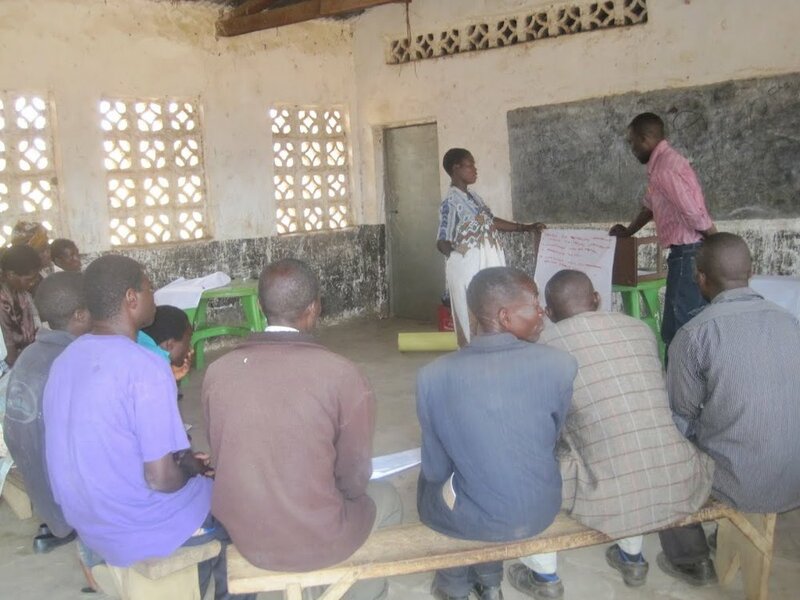 Continuing the farmers' training, we held classroom sessions at Chibanzi village last week. The topics again focused on leadership, advanced planning, setting goals, and teamwork. Club members were asked to brainstorm goals for their farming activities, and make plans that they thought would achieve their goals. The club as a whole was able to set its rules and responsibilities for members. The trainings we have conducted are showing results in the field. Many farmers who were showing reservations about the project became motivated to invest their time in their gardens. Farmers have responded by mulching their crops, visiting other gardens, working as a team on nursery demonstrations, and sharing their goals and plans with the group. They seem to be convinced that the new technology is a great opportunity for them to develop their irrigated gardens.